With expertly managed, best-in-class IT, your team can do its very best work. Leapfrog’s IT experts have been managing networks for clients since 1998 — and we’re busy managing hundreds of locations and thousands of endpoints as you read these words. Our singular goal? Delivering IT operational excellence with exemplary service across the board for our clients. Day in and day out. 24/7/365. We use a centralized approach to our managed IT services — we call it IT Optimization — that’s based on assessing, designing and building your IT ecosystem so it operates as a springboard for your business. Our managed services cover your entire IT ecosystem through two main categories, Network Infrastructure Management and Application Management. Your network, servers, storage hardware, platforms, data, apps and endpoints — all of it is managed. Or just some of it, depending on your needs. So whether you’re an IT professional looking for a managed IT partner or a business executive looking for a comprehensive Single-Source IT Management approach, you can count on Leapfrog. Regular KPI report cards for complete accountability and transparency — we show you the data! Contact us today for a complimentary Managed IT Solutions assessment. 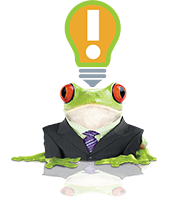 There’s one more thing you can count on from Leapfrog when it comes to Managing your IT — bend-over-backwards customer service. First and foremost, we are a service company. We were one of the first to pioneer remote IT management back in the 90s and have been on the forefront of high-touch, high-level IT management innovation ever since.